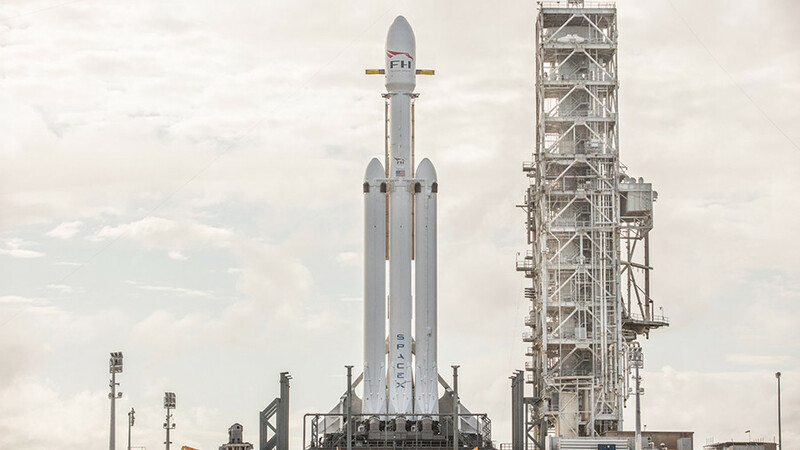 Elon Musk has sent his Tesla Roadster into the deep unknown aboard SpaceX’s Falcon Heavy rocket, which successfully launched on its first-ever test flight. 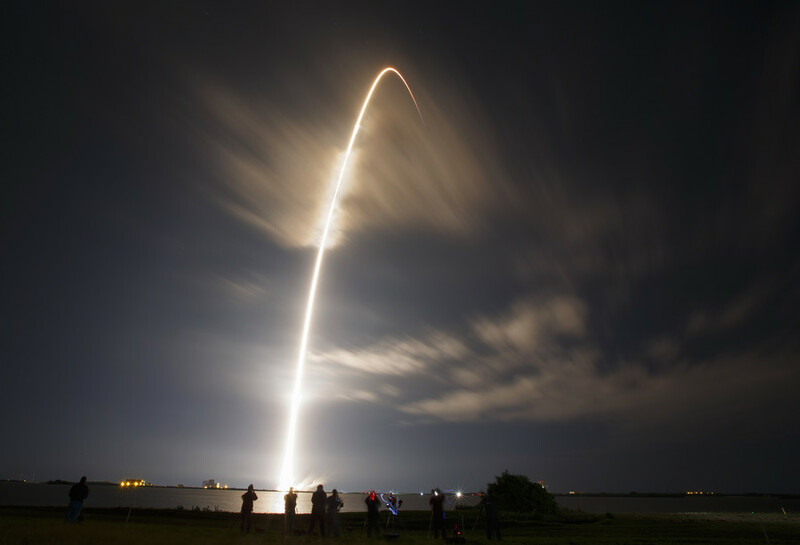 The Roadster, which is “Made on Earth by Humans,” is heading in the direction of Mars at a speed of seven miles a second after separating from the rocket. 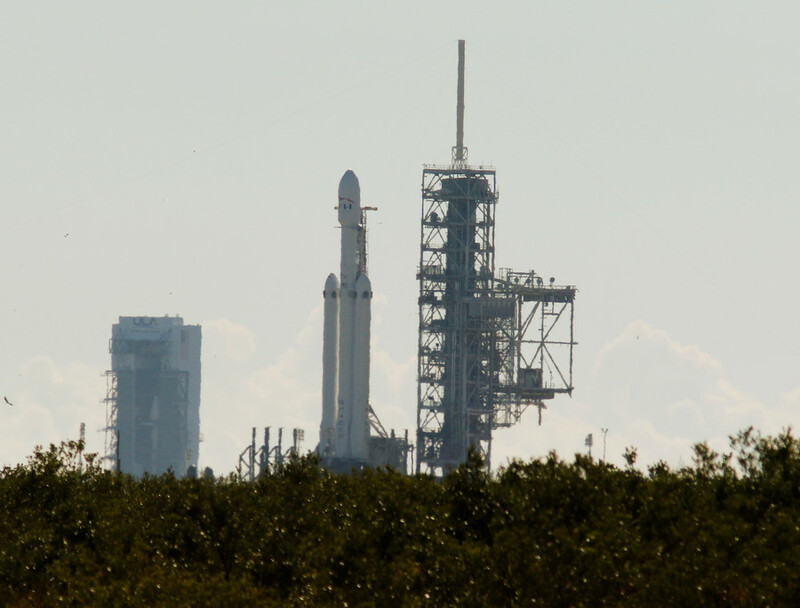 Mere minutes after successfully launching the Falcon Heavy rocket SpaceX began streaming live footage from the Tesla Roadster it had released into space. 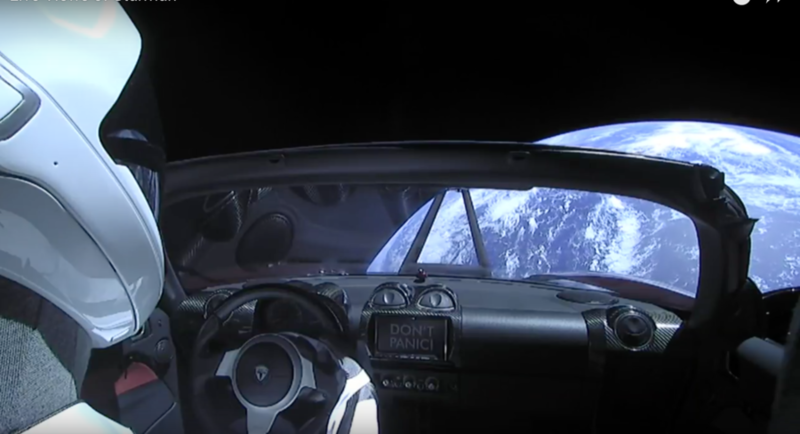 ‘Don’t Panic,’ the dashboard of the car reads, as ‘Starman’ stares back at Earth. Two of the rocket’s booster stages have meanwhile returned to Earth. 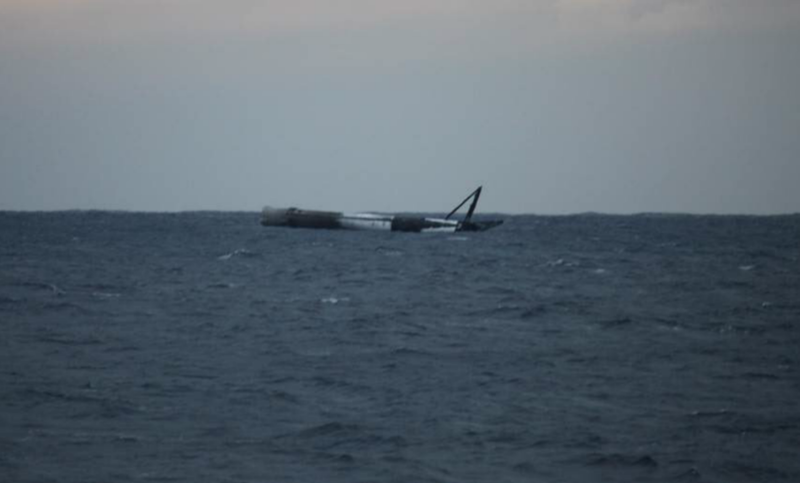 The third booster however crash landed and was destroyed near SpaceX’s autonomous drone-ship in the Atlantic Ocean. The center core didn’t have enough propellant to re-ignite all nine of its Merlin engines during the final landing burn, Musk said during a press conference. 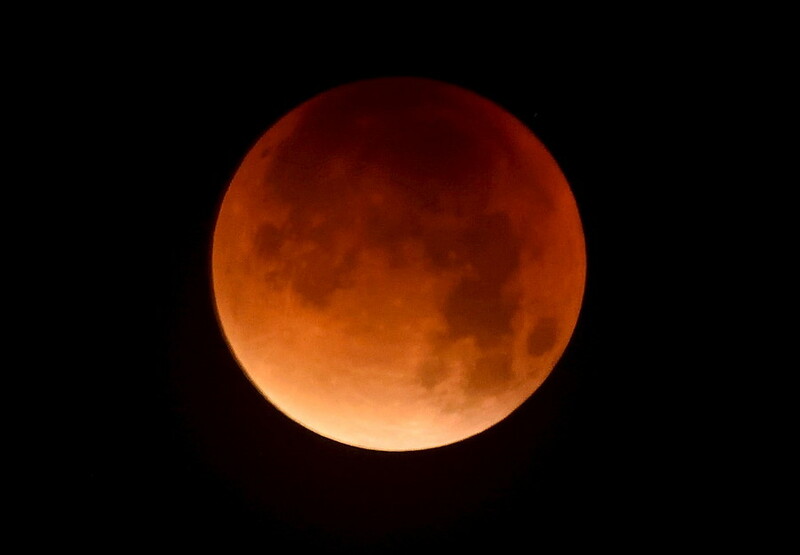 Musk’s space vehicle won’t actually touch down on Mars but will instead indefinitely float across the abyss, until one day it may perhaps be discovered by alien life.